Financial scams often cheat working people. In most cases, the victims simply lose their money. In Africa, some lose their lives. Sub-Saharan Africa experienced an exodus of more than US$700 billion in capital flight since 1970, a sum that far surpasses the region’s external outstanding debt of roughly US$175 billion. Some of the money wound up in private accounts at the same banks that were making loans to African governments. Inflows of foreign borrowing and outflows of capital flight are closely intertwined. As we document in the book Africa’s Odious Debts, there is a strong correlation between the two. For every dollar of foreign borrowing, on average more than 50 cents leaves the borrower country in the same year. This tight relationship suggests that Africa’s public external debts and private external assets are connected by a financial revolving door. How does it work? Common mechanisms include inflated procurement contracts for goods and services, kickbacks to government officials, and diversion of public funds into the bank accounts of politically influential individuals. Some of Africa’s flight capital comes from other sources, too, such as earnings from oil and mineral exports. But foreign loans make an exceptionally easy mark in that there is no need to bother with the messy business of extracting natural resources to convert them into cash. en external debts and capital flight suggests that the legitimacy of parts of Africa’s debts may be challenged, as they were not used for the purposes for which they were contracted and did not serve the interests of the people. The history of finance is littered with examples of the hazards of lending other people’s money and borrowing in other people’s names. In theory, bankers are meant to serve the interests of their depositors and shareholders by making prudent loans that will be repaid with interest. In practice, however, they often are rewarded above all for “moving the money,” getting loans out the door. In the wake of the U.S. financial crisis, this issue belatedly began to attract attention at the U.S. Fed. An analogous principal-agent problem operates on the borrower side, where government officials negotiate and disburse loans on behalf of their citizens. Some of them borrow in the name of the government, line their pockets and those of their cronies, and saddle the public with the debt. When a fraction of foreign borrowing is siphoned abroad, Africa still receives an inflow of money, albeit less than the face value of the debt. The net drain comes in subsequent years when the creditors are repaid with interest. Using World Bank data, we estimate that each additional dollar of external debt service means that 29 fewer cents are spent on public health, and that each $40,000 reduction in health expenditure translates into one additional infant death. Putting these together, we calculate that debt-service payments on loans that fuelled capital flight translate into more than 77,000 extra infant deaths annually. It is not only money that is being stolen in Africa: it is human lives. The haemorrhage of scarce resources from Africa can be curbed. Efforts by some African governments to recover wealth stolen by past officials have won international backing in the Stolen Asset Recovery Initiative launched by the World Bank and United Nations Office on Drugs and Crime. More can and should be done to identify looters and their accomplices and to repatriate stolen funds. Tougher anti-money laundering laws and enforcement are needed to staunch the illicit financial flows from Africa into safe havens abroad. In the United States, Treasury Department officials concede that banks routinely accept deposits of funds that enter the country in violation of existing laws. Moreover, the banks currently are not prohibited from handling proceeds from many activities, such as tax evasion, that would be considered crimes if committed within the U.S.
More transparent information about financial inflows to African governments would also help. Much as the Publish What You Pay campaign launched by international NGOs promotes disclosure of corporate payments for natural resource extraction, a Publish What You Lend campaign could strengthen transparency and accountability in financial markets. Sealing Africa’s financial hemorrhage will also require breaking through the shadows of international finance to enforce transparency and accountability in debt transactions. African countries can and should selectively repudiate odious debts incurred by past regimes. These are debts that were incurred without the consent of the people, where the borrowed funds were not used for the benefit of the public and where creditors knew or should have known this to be the case. The selective debt repudiation strategy is backed by the principle of domestic agency in British and American law, which requires agents to act in good faith in the interest of the principals. This principle has been frequently violated when African corrupt leaders entrusted to borrow in the name of their countries have instead used the proceeds of the loans to line their pockets and accumulate luxury assets abroad. Similarly their lenders have also breached the principle when they continued to dish out funds despite the evidence that the money was systematically squandered. In such cases, it is unjust to ask the African people to pay back these loans. African countries should initiate systematic audits of national debts to establish legitimacy or illegitimacy of each debt covenant. Such audits would shed light on how loans were negotiated, at what conditions, which debts are owed to whom, and at what terms. We can expect that at least some of the past debts will be found to be illegitimate and therefore suited for repudiation. To the extent that audits are conducted competently and transparently, this will lend objectivity and credibility to the process of selective debt repudiation. The labor movement and civil society can play vital roles both in advocating for debt audits and in helping to ensure their transparency. In 2007 President Rafael Correa of Ecuador established a national debt audit commission in order to attempt to shed light on the nature of the country’s debt. The following year, Ecuador’s debt audit commission reported that a substantial portion of the debt was illegitimate and that it has done severe damage to the country’s people, its economy and its environment. The depreciation of the value of the country’s debt following this pronouncement substantially eased the burden of repayment. Disconcerting the critics who predicted doomsday where lenders would cut off the country for further financing, Ecuador’s economy not only survived but has grown faster than that of the United States. Critics of selective repudiation argue that it would bring hardship on the debtor country as it is penalized by financial markets and cut off from further borrowing. But this threat is ‘tiger paper’. First, with selective debt repudiation, legitimate creditors would have no reason to fear, as all debts found to be legitimate will be properly honored. Second, repudiation will certainly benefit countries that are now paying more in debt service than they are receiving in new loans. For these countries, debt repudiation is a wise financial decision. Third, debt repudiation will actually serve the aid effectiveness agenda as grants and loans henceforth will finance genuine development initiatives, rather than being used to bail out the odious debts of irresponsible lenders. These steps would not only benefit Africa’s people today. They also would help to repair our dysfunctional international financial architecture by strengthening incentives for the exercise of due diligence by creditors and for responsible borrowing by governments. Without these changes in the institutional environment, debt relief at best can offer only a temporary palliative. In the world of international finance, what Africa needs most is justice, not just charity. James K. Boyce and Léonce Ndikumana are the authors of Africa’s Odious Debts: How Foreign Loans and Capital Flight Bled a Continent, published by Zed Books in association with the Royal African Society, the International African Institute and the Social Science Research Council. 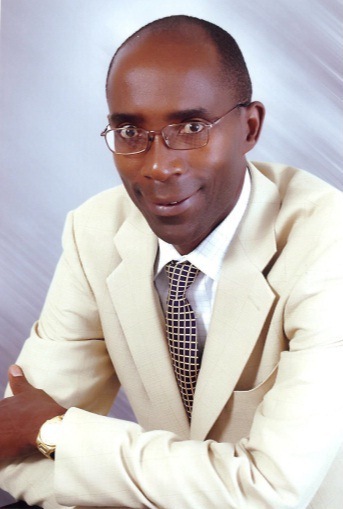 Léonce Ndikumana is the Andrew Glyn Professor of economics and Director of the African Development Policy program at the Political Economy Research Institute (PERI) at the University of Massachusetts, Amherst. His research interests include issues external debt and capital flight, financial markets and growth in Africa. James K. Boyce is professor of economics at the University of Massachusetts, Amherst, where he directs the program on development, peace building and the environment at the Political Economy Research Institute.